*The average TV viewer in upstate NEW YORK might not have noticed much, but behind the scenes, last week brought some dramatic changes to the dial involving two big group owners. Nexstar was already an established presence in the region, owning and operating clusters in Rochester and Utica as well as just across the state line in Scranton and Erie, Pennsylvania. When Nexstar closed its purchase of most of Newport Television’s stations, it instantly became a much larger player. Nexstar’s Newport deal adds most of the cluster that was first assembled more than a decade ago by Ackerley, later passing to Clear Channel and then Newport. In Syracuse, Nexstar now owns top-rated ABC affiliate WSYR-TV (Channel 9), which serves as a hub for Watertown ABC outlet WWTI (Channel 50), Elmira NBC station WETM (Channel 18), Binghamton’s ABC affiliate WIVT (Channel 34) and NBC affiliate WBGH-LP (Channel 20). Nexstar’s Utica ABC affiliate, WUTR (Channel 20), was part of the old Ackerley group, too, and now rejoins its old sister station. Under Ackerley, the group established a master control hub in Syracuse. The Nexstar acquisition will add a new level of hubbing: accounting and traffic for all of Nexstar’s stations in the region are being handled from a new hub at WROC-TV (Channel 8) in Rochester. Our colleague Peter Naughton at CNYRadio.com reports that consolidation meant as many as 20 jobs were lost at WSYR-TV’s East Syracuse facility, including the loss of several part-time photojournalists as well as production and business managers. The Nexstar/Newport deal also brings two more former Clear Channel Television stations in the region under Newport’s management: CBS affiliate WHP-TV (Channel 21) in Harrisburg, PENNSYLVANIA and its JSA partner, CW affiliate WLYH (Channel 15) in Lebanon. Nexstar’s arrival in the Harrisburg market means the departure of Holly Steuart, who’d been GM at those stations under Newport; Steuart had also worked at WROC-TV in Rochester before moving to Harrisburg. Nexstar still has another deal yet to close: it’s also acquiring Fox affiliate WFFF (Channel 44) and WVNY (Channel 22) in Burlington, Vermont, adding to what’s now a large regional footprint. *While we knew Nexstar’s closing on the Newport stations was just a matter of time, the week’s other big deal came as a surprise – even, apparently, to Nexstar itself. This piece of the puzzle involves the last station remaining in the Newport family, ABC affiliate WHAM-TV (Channel 13) in Rochester. 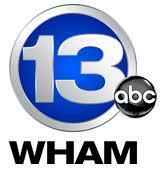 Because Nexstar already owned WROC in Rochester and operated Sinclair-owned Fox affiliate WUHF (Channel 31) under a joint sales agreement (JSA), it appeared that WHAM-TV would have to go to a different buyer. What nobody at Nexstar appears to have expected was that the “different buyer” would be its own JSA partner in Rochester, Sinclair, which paid $54 million on Monday and immediately took over the “non-license assets” of WHAM-TV. Confused yet? No more so than the business pages that obligingly reported Sinclair’s official statement that it had no plans to alter its WUHF arrangement with WROC, leaving the station Sinclair actually owns, WUHF, being operated by a competitor to WHAM-TV, the station Sinclair will operate but not own. Even in the tangled web that is modern television group ownership, that’s a bizarre situation indeed, and NERW can confirm it won’t last very long. Nexstar’s JSA with WUHF began in September 2005, when Sinclair moved WUHF out of the East Avenue studios it had occupied for a quarter-century, shutting down its own local newsroom and relocating WUHF to WROC’s historic Humboldt Street studios. The original JSA was a seven-year deal, and as its expiration approached earlier this year, the two companies renewed the arrangement through the end of 2013. In the meantime, WROC and Nexstar will spend the first half of 2013 in the uncomfortable position of providing services to a soon-to-be-competitor, not just in the newsroom but also in master control. Under Ackerley, Clear Channel and Newport, WHAM-TV’s master control was hubbed in Syracuse at WSYR-TV; until a new master control can be built for Sinclair’s new Rochester operation, WHAM’s master control remains in Syracuse being operated under contract by Nexstar. Over at WHAM, Sinclair’s arrival doesn’t appear to mean any major staffing changes, and may even mean more investment in the newsroom now that it will be serving a second station. And what becomes of the actual WHAM-TV license, which Sinclair can’t own as long as it has WUHF? An application was filed with the FCC on Friday to transfer the license to Deerfield Media, the arms-length Sinclair sister company that functions as a shell company in many Sinclair markets. Deerfield will pay $6 million for the license, and will grant Sinclair a five-year option to purchase the WHAM license. There are still a few more puzzle pieces yet to be put in place across the region. In Utica, dominant NBC affiliate WKTV (Channel 2) has been up for sale for a while now; could it end up closing Sinclair’s link of stations all up and down the Thruway, where the company now runs two stations each in Buffalo (WUTV/WNYO), Syracuse (WSYT/WNYS) and Albany (recent purchase WRGB/WCWN)? And in Syracuse, Barrington Broadcasting’s announcement that its stations are up for sale puts more pieces in play: the company owns NBC affiliate WSTM (Channel 3) and its low-power CW sister WSTQ (Channel 14), as well as operating Granite’s CBS affiliate, WTVH (Channel 5). *Radio People on the Move: Cumulus has a new morning man to replace the recently-departed Jack Hammer at country WKXP (94.3 Kingston)/WZAD (97.3 Wurtsboro). He’s CJ McIntyre, late of Clear Channel’s WRWD (107.3). In Syracuse, talk host Jim Reith thought he had found a comfortable new home at public broadcaster WCNY after he was ousted from his longtime afternoon spot at WSYR (570) in last year’s big Clear Channel cutbacks. WCNY had big plans for Reith: he was blogging for the station’s website, he was hosting a nightly TV talk show (called simply “Reith”), and he was about to start doing radio talk again, on the HD3 subchannel of WCNY’s FM stations in Syracuse, Utica and Watertown. Reith’s TV show, however, proved to be a tough sell for public TV viewers and underwriters, and last week the station pulled the plug. “(I)n the end, we found it to be a greater challenge than we anticipated to move Jim’s brand from radio to television,” said WCNY CEO Robert Daino. WCNY-TV says it will now launch a new daily public affairs show sometime next year. A well-known New York radio voice has reason to be feeling fatherly pride this week: Jack Kratoville’s long career at WLTW (106.7) and other stations in the city and on Long Island inspired his son Kyle to go into radio as well. Now Kyle has relocated to eastern North Carolina, where he’s just been named night jock at WERO (93.3 Washington NC). *New York’s WEPN (1050) no longer has a simulcast in central NEW JERSEY. The relay of WEPN on WNJE (1040 Flemington) made some sense when 1050 was the English-language home of ESPN in New York and the 1040 signal could fill some serious nulls in the 1050 signal. With ESPN’s move to FM (on WEPN-FM 98.7), 1050 went to Spanish-language ESPN Deportes Radio, and after a few months of simulcasting en Espanol, WNJE has now gone its own way. Under new owner Connoisseur, 1040 is now simulcasting religious sister station WCHR (920 Trenton). *Translators on the march: In Albany, Joe Reilly’s new Empire Broadcasting is shifting format on W291BY (106.1), switching the input from WUAM (900 Watervliet) and its simulcast of YNN’s local TV news to WABY (1160 Mechanicville) and its adult standards format. Southeast of Buffalo, we can now put a price tag on Lloyd Lane’s latest translator addition for WCJW (1140 Warsaw): he’s paying Family Life Ministries $5000 to add W283AU (104.5 Arcade) to a network that already includes four translators for the AM signal. *And we remember Don Decker, whose long career in upstate broadcasting started at WCSS (1490 Amsterdam) in the 1950s, then took him to WSNY in Schenectady and WTRY in Troy before he landed at WGY (810) and WRGB (Channel 6) in Schenectady, where he rose to become news director in 1968. Decker later worked as news director at WAMC (90.3) and then at WTEN (Channel 10) before retiring in 1998. Decker launched the careers of many of Albany’s best-known TV newspeople, not to mention the market’s first hour-long evening newscast during WRGB’s dominant years in the 1970s. Decker died Monday at 79 following a fight with cancer. *If Decker could be considered a contender for the title of “Dean of Albany News,” there was no argument about who was true “Dean of CONNECTICUT Sports.” That was Arnold Dean, who joined the staff of WTIC (1080 Hartford) in 1965 after starting his career at WKRT (920) in his native Cortland, New York, where he was born Arnold D’Angelo. Dean wore many hats in his early years at WTIC, indulging his passion for jazz as the host of several music shows. By 1976, he’d settled into a very comfortable role as the station’s evening sports talk host. Dean’s tenure at WTIC was exceeded by only one other announcer – and nobody’s ever likely to top the legendary Bob Steele’s amazing six-decade run at the station. Like Steele, Dean gradually tapered back his work on WTIC without ever completely leaving the station. Dean was on the air just two weeks before his death on Saturday; he was 82. *While last week’s corporate job-cutting at big Clear Channel markets appeared to have spared most of the clusters in our region, one central MASSACHUSETTS talent was moving on of his own volition. At Clear Channel in Worcester, the search is on for a morning replacement for Jim Polito, who did his last show on WTAG (580) Friday morning. Polito’s headed down the Pike to Fox’s WFXT (Channel 25), where he’ll be a political commentator. Across town, WCRN (830 Worcester) has picked up Michael Savage’s new Cumulus syndicated talk show and has reportedly dropped CBS Radio’s “Overnight America,” which is also heard in the area on Greater Media’s WTKK (96.9 Boston); speaking of overnights and CBS Radio, the rotation of fill-in hosts on WBZ (1030 Boston) in Steve LeVeille’s old slot recently included a tryout by Jen Brien, late of WRKO. Down the hall from WRKO, WEEI-FM (93.7) has picked a new morning sports update anchor: he’s Kevin Winter, most recently of ESPN Radio. Winter has also worked at the old WAMG (890) in its ESPN days and at WWZN (1510). *Wondering what the new “Electromagnetic Company” was up to with the stations it picked up as spinoffs from the Nassau Broadcasting breakup? Not much, it appears: no sooner was the ink dry on Electromagnetic’s acquisition of WEXP (101.5 Brandon) than the Rutland-market station was on the move again. There’s no wondering what the new ownership has in mind: Ken Squier’s Radio Vermont (doing business here as “Woodchuck Radio LLC”) is paying $475,000 to expand the reach of flagship WDEV (550 Waterbury) south into Rutland. WDEV already has one FM simulcast, on WDEV-FM (96.1 Warren), and if Squier’s goal is to make WDEV the same sort of statewide FM voice that it was in the glory days of AM, there are some opportunites: Electromagnetic is sitting on the now-dark WMXR (104.3 Hartford), which is also presumably for sale; depending on which way Squier might want to move up or down I-89, 104.3 could either stay put in the Upper Valley or build out its construction permit to move to Keeseville, N.Y., in the Burlington market. And there’s WEXP’s simulcast to the south, WTHK (100.7 Wilmington), which stayed with Great Eastern Radio in the Nassau sale; it’s hard to imagine that WTHK wouldn’t also be available at a minimal cost if WDEV wants to expand south of Rutland toward the Brattleboro area. Scranton public broadcaster WVIA-FM (89.9) added another link to its relay network last week. WPAU (91.5 Palmyra Township) augments WVIA’s reach northeastward into the Honesdale/Pike County area; it joins existing WVIA relays in Williamsport (WVYA 89.7) and in the Mansfield area, where WTIO (88.3) signed on over the summer. The Clear Channel job cuts affected two broadcasters at opposite ends of the state: AllAccess reports Bob Stei is out after many years as a part-timer at Clear Channel Philadelphia, while in Pittsburgh, middayer Jimmy Flick was cut from “Kiss” WKST-FM (96.1). *In CANADA, Vista Radio has picked a replacement PD/operations manager at its Niagara Falls stations, CFLZ (Z101.1) and CJED (105.1 Ed FM). Drew Keith comes down the QEW from Hamilton, where he’s spent the last eight years as PD/operations manager at Astral’s CHAM/CKOC/CKLH. Before that, Keith worked for Vista’s Ontario predecessor, Haliburton, and earlier on he was in Toronto at CJEZ and CHFI. In Montreal, the CRTC has approved TTP’s plan to locate its new AM 940 signal at the transmitter site the company is leasing from Bell in Kahnawahke, just south of the St. Lawrence River. That Kahnawahke site is where the previous 940 signal, CINW, was located – and of course it’s the historic site of CINW’s predecessor, CFCF/CIQC (600). TTP also has a permit for a new English-language talker on 600, which will share the Kahnawahke site with the new French-language 940. TTP had originally planned to put 940 in Saint-Constant, a few kilometers to the southeast, where it would have diplexed with CJMS (1040) at the site that was the original home of CKGM (980). As we work our way toward the end of the year, we have some special NERW features coming your way. Next week’s issue will include our annual “NERW Bookshelf and Gift Guide,” and now’s the time to let us know if there’s something you’ve read this year that belongs in our listing of interesting new releases related to radio and TV in our region. And on December 24, we’ll begin our “2012 Year in Review” special presentation. You won’t want to miss this year’s extensive look back at the stories and people who made broadcasting exciting across the region. We have some great opportunities available for advertisers in this special section, too – reach out to Lisa (lisa at fybush dot com) for all the details on how you can be a part of our Year in Review! *There’s something about Randy Michaels’ Merlin Media venture that seems to dominate media discussion in every market it enters, and it was no different this week in PENNSYLVANIA, where Merlin entered the Philadelphia market with the (reportedly $22.5 million) purchase of WKDN (106.9), the second of two Family Stations properties put up for sale earlier this year after Family founder Harold Camping’s failed end-of-the-world prediction. CBS Radio won the bidding for the first of those Family signals, WFSI (107.9 Annapolis MD), which it will use as part of a plan to challenge established Washington all-news behemoth WTOP – but in Philadelphia, it’s CBS Radio’s well-established KYW (1060) that will be at the receiving end of a challenge from Merlin. In this case, unlike Washington, it’s the challenger that will enjoy a signal advantage. One reason the Philadelphia signal cost so much more than the Washington one (WFSI sold for just $8.5 million) is that it has much more potential as a full-market facility. Right now, WKDN operates as a 38 kW/551′ class B facility from the towers of former sister station WTMR (800) in its city of license, Camden, NEW JERSEY – but it’s widely expected that one of Merlin’s first tasks after taking over 106.9 will be to improve the signal, which is hampered by aging equipment and a less-than-optimum transmitter site. There’s room to relocate 106.9, though, and while it will never quite be the equal of the full non-directional class B signals from the Roxborough tower farm, it will reach areas that currently struggle to hear KYW, especially up toward Bucks County where KYW has a directional null protecting adjacent-channel WEPN (1050 New York). Will Merlin have any better luck getting a strong start in the all-news wars in Philadelphia than it has experienced in New York and Chicago? Hiring Gardner is certainly a good start, and WKDN will face somewhat less competition from CBS than in Chicago (where WBBM quickly added its own FM simulcast) or New York (where CBS has the one-two punch of WCBS and WINS). Merlin faces some bigger obstacles in Philadelphia, though – it will have to move quickly to bring the 106.9 signal up to parity, and it will have to build studio facilities from scratch instead of inheriting existing plants from Emmis as it did in New York and Chicago. Needless to say, we’ll be following Merlin’s progress closely in the weeks to come. (We’ll be looking at Family, too: will the $31 million or so that it pockets from the sale of WFSI and WKDN be enough to cover the immense cost of the PR campaign for the non-apocalypse earlier this year, or will Family’s board eventually feel compelled to consider selling some of the network’s other big signals, including New York-market WFME 94.7? *The week produced some other big stories out of the Keystone State, too: in Pittsburgh, Marshall Adams is out after five years as news director (and later “Director of News/Talk Programming”) at CBS Radio’s KDKA (1020). Adams came back to his native western Pennsylvania in 2006 after working as news director of WBT in Charlotte, and he took a tremendous amount of pride on his hometown station’s history and legacy, filling his office with KDKA memorabilia. No replacement has yet been named. *The big news out of NEW YORK comes from big Cumulus talker WABC (770), where mid-morning talker Joe Crummey was the only non-syndicated weekday voice on the station…at least until the end of the week, when he was pulled from his 10-noon shift. No official announcement has been made about Crummey’s replacement, but the rumor mill is churning up the name of Geraldo Rivera as the new occupant of that slot. *Some big news from VERMONT: after literally decades of applications and construction permits, classical WCVT (101.7 Stowe) has signed on a new class C2 signal from the state’s highest point, the top of Mount Mansfield. The station, owned by Ken Squier’s Radio Vermont Classics, has moved around in its 20-some years on the air: the former WVMX started out as a class A signal on Mansfield, running just 43 watts, but eventually moved south to Ricker Mountain, where it upgraded from class A (135 watts/2066′) to C3 (500 watts/2066′). Its new facility on Mansfield is a 1 kW/2653′ directional C2 using a new Shively antenna, providing improved line-of-sight and a somewhat stronger signal into Burlington and vicinity. Fox Sports Radio has vanished from the Burlington airwaves, too: Steve Silberberg’s WCAT (1390) quietly flipped from sports to a simulcast of oldies WIFY (93.7) last month. WCAT lost the ESPN affiliation in January, when it moved to FM on WCPV (101.3). *There’s one fewer station on the air in French CANADA this week: Cogeco was ordered to divest CJTS (104.5 Sherbrooke) as part of its purchase of Corus’ Quebec radio stations, but it says it was unable to find a suitable buyer, and so it pulled the plug on the station at noon on Tuesday (December 6). Cogeco had kept the format that had been on 104.5 – it was part of the Montreal-based “CKOI” hot AC network under its old calls of CKOY, which now live on 107.7 (ex-CHLT) in Cogeco’s hands. The former 107.7 format, French oldies “Souvenirs Garantis,” had moved to 104.5, and it’s that format that went away on Tuesday, along with about a dozen jobs in Sherbrooke. Cogeco still has two stations in Sherbrooke: CKOY on 107.7 and “Rhythme FM” CFGE (93.7). **When Cumulus’ WFAS-FM (103.9 White Plains) filed to change city of license to Bronxville back in January, it wasn’t hard to figure out what was coming next – a transmitter move that would make the class A signal into a NEW YORK broadcaster. As a pre-1964 grandfathered station, WFAS-FM doesn’t have to protect its second-adjacent neighbors on the Empire State Building, WKTU (103.5 Lake Success) and WAXQ (104.3 New York), but it does have to stay at least 15 km from WPAT-FM (93.1 Paterson NJ), which is also on Empire. That means it’s likely to end up somewhere in the Bronx, where it will probably end up joining another move-in, Cox’s WCTZ (96.7 Stamford CT, moving to Port Chester NY). “Somewhere in the Bronx” turned out to be the tower atop a Montefiore Medical Center building that’s already home to WFUV (90.7). Last week, WFAS-FM, which was granted the city-of-license change to Bronxville over the summer, applied to move its transmitter from its longtime site in Greenburgh to the WFUV tower (shown below in 2005), where it would operate with 980 watts at 532 feet above average terrain. From that site, WFAS-FM would still have decent Westchester/Rockland/north Jersey coverage, but more to the point, it would blanket the Bronx and cover most of Manhattan, Queens and even part of Brooklyn with a 60 dBu (city-grade) signal. What happens next? We speculated back in February that Cumulus, which does most of its business in suburban and medium-sized urban markets, was unlikely to keep WFAS-FM operating as a standalone AC station in the cluster-dominated cauldron of Market Number One, and last month’s layoffs of a significant portion of WFAS-FM’s airstaff would seem to bear out that theory. Will WFAS-FM soon be up for sale as a New York City signal? And if so, who would be in line as buyers, at a price tag that’s likely to be in the $50 million range? It’s not hard to imagine the new 103.9 nicely complementing the Queens/Nassau rimshot of Univision’s WQBU (92.7 Garden City), a signal for which Univision famously paid $60 million a few years ago. Then there’s Citadel, whose two-station cluster (WABC/WPLJ) is far smaller than those of its New York competitors, CBS, Clear Channel and Emmis. Would Salem, which is spinning off some of its smaller markets to focus on bigger ones, want to add a “Fish” contemporary Christian FM to its two AMs (WMCA and WWDJ)? Would Arthur Liu’s Multicultural group want an FM to go with its many AMs? We’ll be watching this one closely – not to mention another eventual Bronx move-in, Cox’s relocation of WCTZ (96.7 Port Chester NY, ex-Stamford CT) closer to the big city. *A transmitter-site fire leads our PENNSYLVANIA news this week, as Harrisburg’s WRVV (97.3), WHP-TV/DT (21/4) and WLYH-TV/DT (15/23) all recover from the blaze that knocked them off the air early Monday morning. The fire started in the corner of their shared building near the FM transmitter, completely destroying the FM station’s equipment and severely damaging several of the TV stations’ transmitters. Public broadcaster WITF (89.5)/WITF-TV/DT (33/36), which share the site, suffered some smoke damage to their transmitters in an adjoining room, but remained on the air. *In MASSACHUSETTS, Principle Broadcasting is trying again to move WESX (1230 Salem) from its longtime (and very valuable) site in Marblehead to a location much closer to Boston. Back in March, Principle applied to change WESX’s city of license to Saugus, relocating the transmitter to the tower of WLYN (1360 Lynn) and requesting a waiver because the new site wouldn’t provide full coverage of the new community. In early November, the FCC let Principle know that it wouldn’t grant the waiver, giving WESX an opportunity to amend its application to fix the problem. Now the station has done so, changing its proposal to specify Nahant as the new city of license. This time, no waiver is required, as WESX would cover Nahant fully by day, and would cover 89.1% of the town with a nighttime interference-free signal. As Tom Finneran’s “Finneran’s Forum” continues to struggle for listeners on Entercom’s WRKO (680 Boston), the show’s being retooled to include many more voices in addition to the ex-House speaker. New additions to the lineup include a Monday “Boston Globe Report” segment featuring a rotating roster of Globe columnists, a Wednesday campaign trail update from CNN’s Major Garrett and a Thursday co-host from 8-10 AM, legal expert Wendy Murphy. And we’re very sorry to report the death on Thursday (Dec. 6) of Fred B. Cole, one of the last living links to Boston radio in the pre-World War II era. Cole worked for WBZ and WNAC before joining WHDH in 1946, where he spent 21 years playing big-band tunes. Cole was inducted into the Massachusetts Broadcasters Hall of Fame earlier this year. Cole, who lived his entire life in Hingham, was 92; he’s survived by wife Betsey and a large family. The man who defined morning radio in CONNECTICUT for fifty years died last Friday (Dec. 6), ending a radio career that spanned seven decades at just one station. Bob Steele came to WTIC in Hartford in 1936, as a junior announcer fresh from the motorcycle-racing circuit, where he had announced the races at a local arena (and, earlier, on KGFJ in Los Angeles.) The Missouri native was hired on a probationary basis and urged to work on his accent. Within a few months, Steele was announcing sports broadcasts on WTIC — and in 1943, he took over the “Morning Watch” show. Back up here in Rochester, Entercom will hold an official ribbon-cutting Wednesday (Dec. 11) for its new “High Falls Studios” radio complex, home to WBEE-FM (92.5), WBBF (93.3 Fairport), WBZA (98.9) and WROC (950). We had a chance to see this nifty new facility a couple of weeks ago, and it’s far and away the nicest commercial radio plant in town, complete with historic brick-vaulted ceilings and a wonderful location in the heart of the city’s entertainment district. From Buffalo comes word of the death on Dec. 1 of Les Arries, the longtime general manager of channel 4, where he started as general manager in 1967 (when it was WBEN-TV) and left in 1989 (when it had become WIVB-TV). Arries began his broadcast career at the old DuMont Network in 1946 and was later instrumental in creating the syndicated Merv Griffin Show while working for Westinghouse in the sixties. 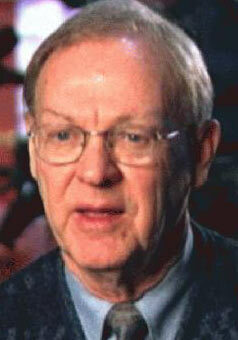 Arries died of brain cancer at his home in Sarasota, Florida; he was 77. It’s been several years in the making, but WKOX (1200) in Framingham, MASSACHUSETTS finally holds a construction permit to go 50 kilowatts by day. The FCC this week reversed a decision rejecting WKOX’s application for the higher power from the WNTN (1550) tower on Rumford Avenue in Newton, a site erroneously identified as “River Street” in the application. 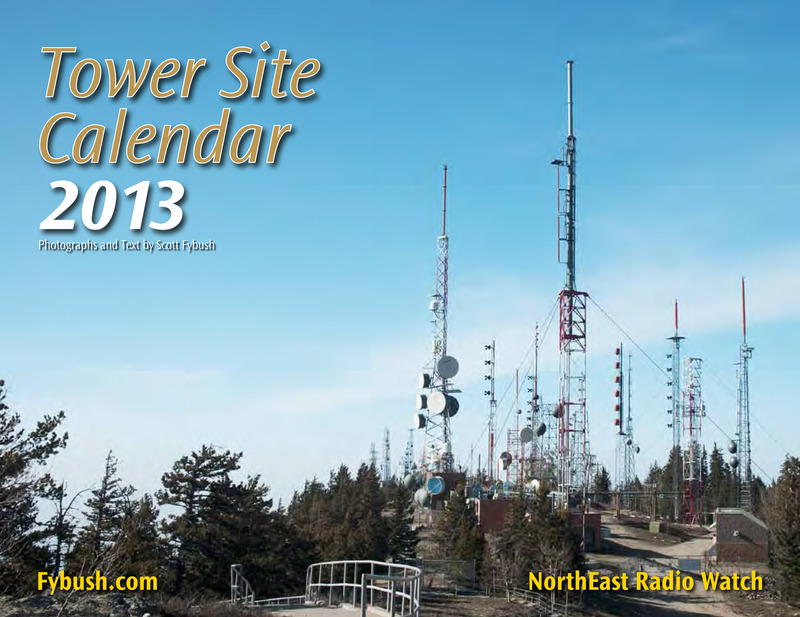 We’ll be interested to see whether WKOX and owner Fairbanks Broadcasting are actually able to build on the site; we’d heard last year that WNTN was leery about allowing WKOX to diplex off its tower. WKOX also holds a CP for 50 kilowatts day and night from its current site on Mount Wayte Avenue in Framingham; that application has long been stymied, though, by local officials’ refusal to allow WKOX to tear down its two tall lit towers and replace them with three shorter unlit ones (no, NERW doesn’t quite get it either…) WKOX was also trying to get permission from Sudbury town officials to build a three tower array along route 30 in that town, but that project appears to have stalled out. Elswehere in the Bay State, Boston’s WNFT (1150), the oft-forgotten stepsister in the CBS/ARS group, was doing some simulcast-hopping this week. WNFT was heard with sister hot AC station WBMX (98.5) last Friday, returning to its usual simulcast of WAAF (107.3 Worcester) for a few days only to switch again for a little while, this time to CHurban WJMN (94.5) — which, oddly enough, is NOT a CBS/ARS station. An accident at the WNFT broadcast facility? Only the engineers know for sure. On to CONNECTICUT, where the revolving doors have been spinning fast and furious in and around Hartford this week. No sooner did NBC take control of WVIT (Channel 30 New Britain-Hartford) than news director Micah Johnson, general sales manager Ron Pulera, and reporter Pete Yaksick were out of their jobs. Assistant news director Nancy Andrews is running the show at channel 30 for the moment. Over at oldies station WDRC-FM (102.9) in Hartford, morning host Jerry Kristafer has been ousted after 15 years. Replacing Kristafer for now is weekend jock Don Brooks, with the station’s website announcing Marc Sommers as the permanent replacement. Sommers comes to “Big D 103” from a stint with New York’s WCBS-FM (101.1). No official reason was given for Kristafer’s dismissal beyond the usual “philosophical differences,” but Kristafer tells a local newspaper he thinks low ratings were to blame. It’s dead, Jim: Stephen King’s WNSW (1200) in Brewer, MAINE apparently applied for license renewal — even though it was cancelled and its callsign deleted back in February after being off the air for more than a year. This was one resurrection even King couldn’t pull off; the FCC rejected the application, as the Telecom Act requires it to do.